The scale of this ban due to doping is unprecedented in Olympic history, and will have a significant impact on the Rio medal tally as Russia won 18 medals in track and field, including 8 gold medals, at the 2012 London Games. This is a tragedy for Russians, who likely were fully expectant of their citizens bringing home medals and glory from Brazil. But it is also a victory for athletes who live clean sporting lives, and a bit of redemption for athletes whose final results may have been affected by a tainted Russian athlete. What is interesting is that she had actually tested positive for an anabolic steroid prior to the 2012 London Games in May, 2012. She blew the whistle 7 months later, explaining how she had taken banned substances as a part of a systematic doping program in Russia. But perhaps predictably, after the Russian authorities were forwarded Pischalnikova’s email from WADA, the Russian Athletics Federation banned her from competing any further for Russia. The Reluctant Hero, Yuliya Stepanova: Like Pishchalnikova, Yuliya Stepanova (now Rusanova) was a standout athlete who was banned by the IAAF due to abnormalities with her bloodwork. Her husband, Vitaly Stepanov, was actually a member of the Russian Anti-Doping Agency (RUSADA), who was growing disenchanted with RUSADA’s lack of integrity. At one point, the 800-meter specialist took steps to divorce herself from her crusading husband. But after Yuliya was banned by the IAAF for two years, the couple committed to work together, and began to think about ways to share their insight into systematic doping of Russian athletes. Eventually, they agreed to go on camera with German news broadcaster, ARD, for a documentary that blew the lid off Russia’s state-sponsored doping system. Fearing for their safety, the couple, now married, are living in the United States. The Hopeful, Yelena Isinbayeva: Pole vaulting has been an Olympic event for women for only four Olympiads, debuting at the 2000 Sydney Games. In that period, Russian Yelena Isinbayeva has won gold in 2004 and 2008 before taking bronze in 2012. She has never tested positive for drugs. And despite the ban, she still hopes to participate in her fifth and final Olympics in Rio. She also expresses frustration, wondering why all Russian athletes have to be placed under the IAAF ban regardless of their results. “Those of us who have never used banned substances will be punished for the behavior of others,” she wrote in an opinion piece for The New York Times. 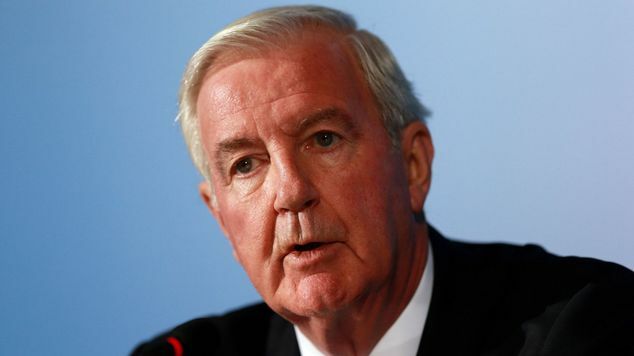 Posted in Doping, Other Olympics, Rio Olympics, Track and FIeld and tagged 2016 Rio Olympics, 60 Minutes, ARD, Craig Reedie, Darya Pishchalnikova, state-sponsored doping, Vitaly Stepanov, WADA, Yelena Isinbayeva, Yuliya Stepanova. Bookmark the permalink.